There are many kinds of serious injuries that a person can face. One kind of injuries that our personal injury attorneys take especially serious are injuries that affect the head and brain. Trauma to the skull can have major affects on a person's life, and these need to be be taken very seriously. Right now, we'd like to turn our attention to the nature of head injuries and what these kinds of cases involve. During your legal consultation, you will be able to receive more information about these matters. There are a few kinds of head injuries that people can experience. The following four categories are good broad classifications to consider. Open Head Injuries - Open head injuries refer to cases in which the skull of an injury victim is fractured or penetrated. Closed Head Injuries - Closed head injuries refer to cases in which the skull is not fractured or penetrated but the brain suffers significant damage. Concussions - Concussions occur when the brain is violently jarred, often striking the inside of the skull. Injuries to the Scalp - Scalp injuries affect the scalp itself and do not affect the skull or brain in a significant way. These can still be serious, however. With regard to combat and contact sports, the repetitive injury to the brain and skull can be quite severe over a long stretch of time. Head injuries can affect people in a number of ways. If the skull is fractured or penetrated, there may be serious trauma to the brain that needs to be addressed. With regard to closed injuries, swelling and internal bleeding can be especially serious and require urgent attention. And though alluded to above, scalp injuries can be the source of serious disfigurement as well as significant blood loss. Our brain injury attorneys take all forms of head injuries seriously. You've likely heard a lot about brain injuries in the news over the years with regard to the NFL, professional wrestlers, and of course boxers. Over time, these brain injuries can become very serious, affecting speech, cognitive ability, range of motion, mood, motor skills, memory, and emotions. We want to make sure that the victims of serious brain injuries are compensated for these hardships if they were the result of negligence. 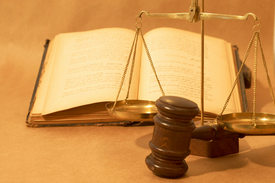 During the litigation process, our lawyers will fight diligently to ensure that your legal rights are respected. We will seek both punitive damages and compensatory damages in your case so that you can have medical bills and future care taken care of while the negligent party is punished for their actions. For more information about head injury cases and how our legal team can help you with your case, be sure to contact our Brooklyn, New York personal injury attorneys today. Our entire team looks forward to meeting you in person and helping you achieve justice.